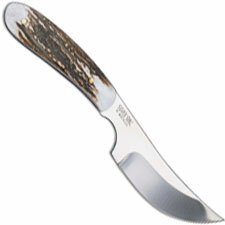 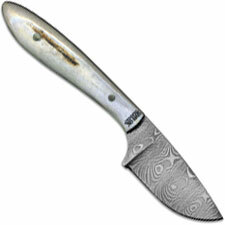 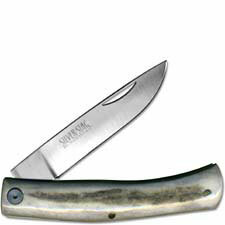 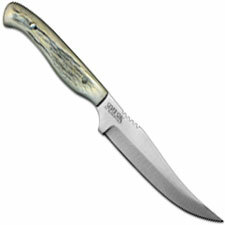 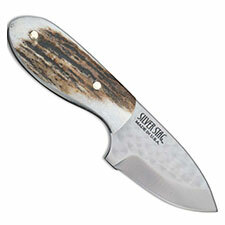 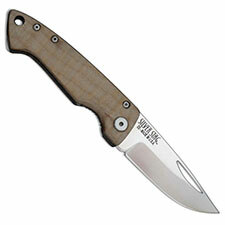 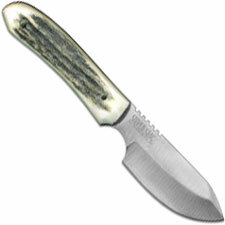 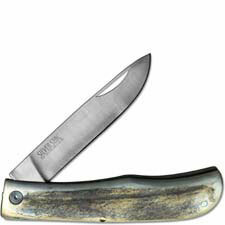 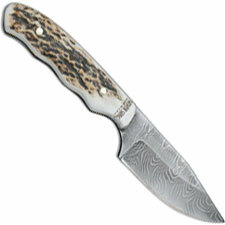 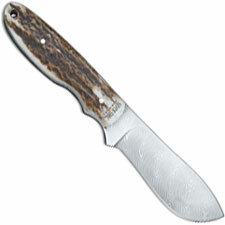 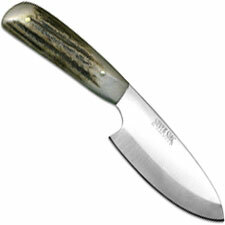 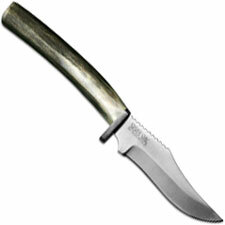 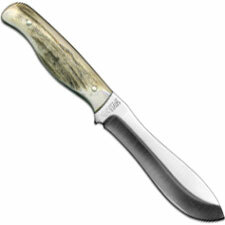 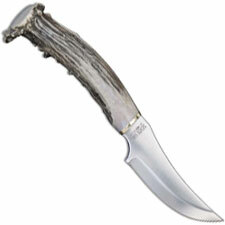 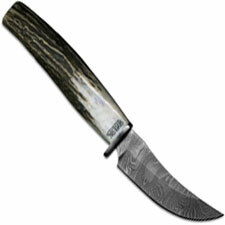 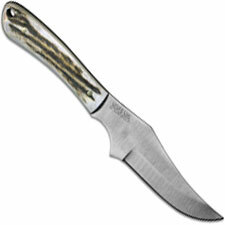 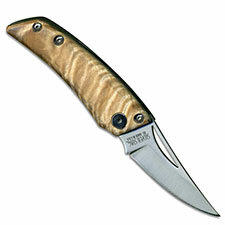 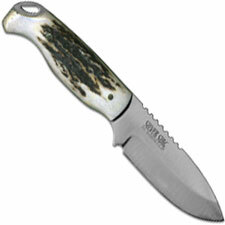 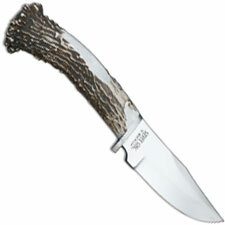 Silver Stag knives is a line of hunting knives and swords, made in the USA, that feature stainless steel, high carbon tool steel, or Damascus blades; paired with shed antler handles. 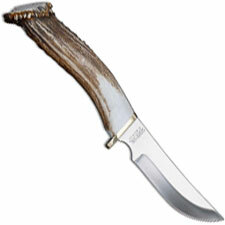 The shed antler handle material is mainly harvested from the Pacific Northwest, with some Alaskan Moose, Canadian Deer and Elk, and Midwestern Whitetail when available. 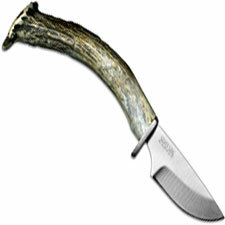 The raw shed antler is trimmed, cut and sorted; taking into account the diameter, the curvature and the natural characteristics of the horn, the antler is then assigned to a specific blade style. 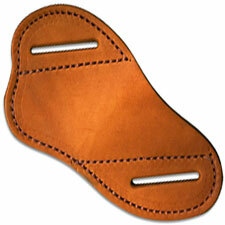 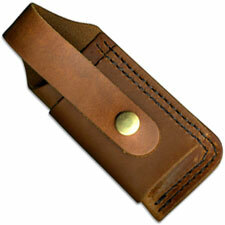 This attention to detail enhances the comfort and product performance for every finished product. 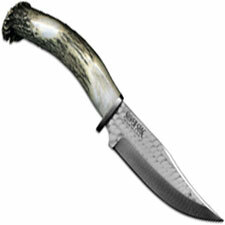 All antler horn handles will vary in coloration and surface character, which is part of the uniqueness of natural handle materials. 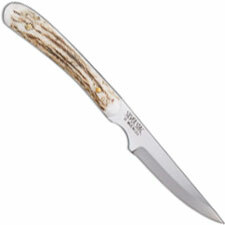 The Silver Stag hunting knives with crown antler or antler point handles feature 3/4 tang construction with hidden pins and epoxy adhesive that permanently bond the handle and blade together. 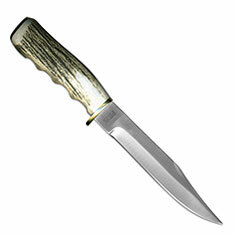 Each of the Silver Stag hunting knives and swords, designed and manufactured in the Pacific Northwest, harken back to a bygone era by combining skilled American labor with natural raw materials such as shed North American deer, elk, or moose antler, to produce unique, functional and attractive field tools. 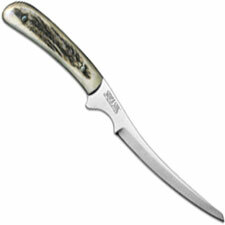 From the Silver Stag website: "Silver Stag products have been designed and manufactured by sportsmen, and every style is durable, functional, and will deliver exceptional field results when hunting, camping, or fishing. 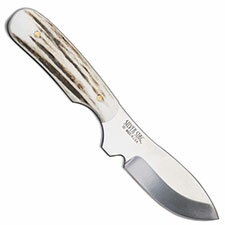 Due to our exclusive use of raw materials and our unique hands-on manufacturing process, no two Silver Stag products will ever be identical."